Saying goodbye to your best friend is never easy, particularly when you don’t know when you will next see them again. You have so much you want to tell them, and when the moment comes, the strength of your emotions block the words from passing your lips. Saved only by the strength of your friendship, a look conveys a message more meaningful than words could hope to describe. 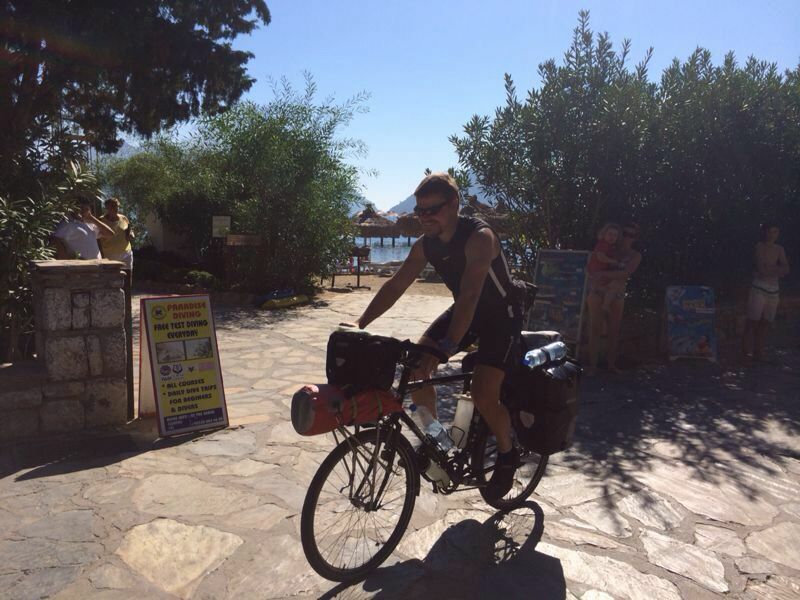 Leaving the Donovans and the Kirbys in Marmaris was very sad and as I cycled away I struggled to see through the tears welling up in my eyes. It was a fantastic five days spent eating and drinking and watching the kids expend energy from a bottomless reservoir that only kids seem able to reach. Once again I was spoilt, this time in five star luxury and all the trimmings. But the surroundings were unimportant, what I was really spoilt by was the presence of eight wonderful people; thank you all so much for a truly memorable week. I cycled slowly along the now familiar main road, feeling entirely lost. Stopping at a supermarket, I restocked my depleted food reserves, and refocused my mind. My original plan to visit Rhodes for a few days was replaced when I made contact with an eco-farm, Pastoral Vadi, which was happy to accept me as a volunteer. With two days to travel eighty five miles along the coast to Yaniklar, I settled in to a steady rhythm, and allowed my thoughts to drift off in the direction of home. The familiarity of my old life was projected back at me from my friends as I indulged in a lifestyle not experienced since leaving Leicester. It was so very easy to reconnect with the cosy comfort zone which was my life of old, and I couldn’t help but revisit fond memories with a sense of yearning. But the past was not better; we live in the present, the present should be better and you simply must become connected to the now. Looking back is nice sometimes, and if you have ever tried to recreate the past by listening to an old song, playing an old video game, or visiting a special place, you’ll know it’s never as good as it was, and more importantly the present is ultimately better. If the present isn’t better, you need to do something about it in the now. The answers are in the present; you can’t fix things by looking in the past. 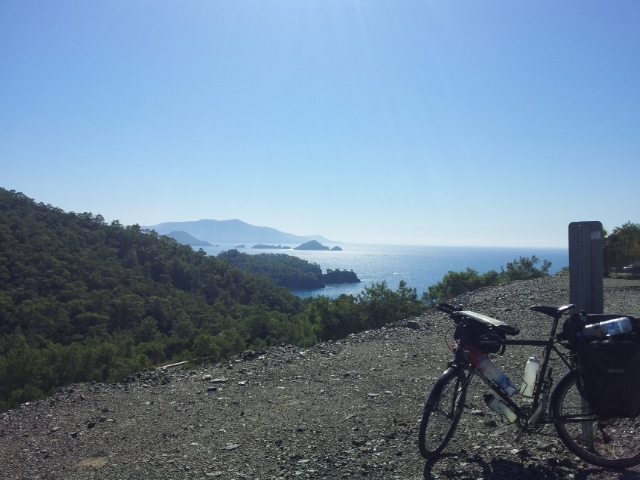 Thankfully, the long steep climb out of Marmaris brought the ‘now’ sharply back into focus by way of burning thighs, shortness of breath and sweat dripping into my eyes! It was just what I needed. As the miles rolled on, the simplicity of travelling by bicycle took hold of me once more. The pleasure of stopping to eat something fairly ordinary comes from the associated feelings of earning a well-deserved reward. Drinking water is satisfying because it quenches the thirst brought on by hard physical exertion. Making a coffee with a gas stove is a ritual that takes time and effort beyond that of flicking the switch on a kettle. It’s the extra time and effort (on top of the cycling) that makes ordinary granulated coffee taste so uncharacteristically good. The road was popular with other bicycle tourists; I passed one chap heading in the opposite direction who began waving his arms at the woods to my right, and shouting words in Turkish. I couldn’t tell you the exact translation, but the message was clear – don’t go in them there woods! But why? 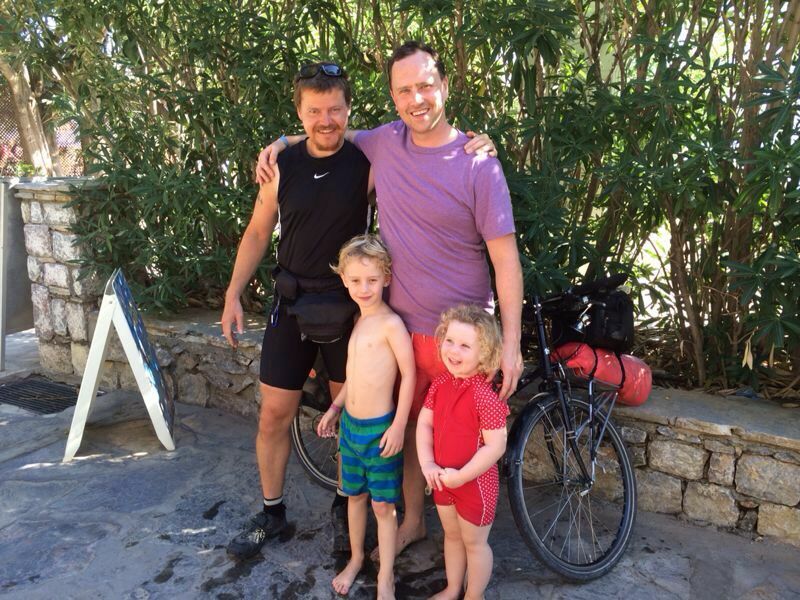 I cycled on in wonder – them there woods looked like prime, wild camping woods to me. Further on I saw another couple of touring cyclists stopped at the edge of the road, and decided to go and say hello. Madelene and Jenn were Canadians touring Europe for ten months, and had just arrived into Turkey, after being blown around the Scottish highlands for one day too many. Our travels both began in August and through entirely different routes, we crossed paths. 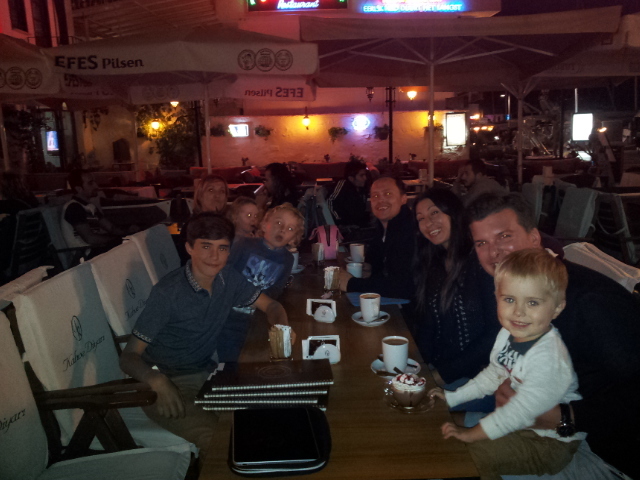 It was great to talk about our adventures so far, compare kit, and exchange stories from the road. It would have been nice to spend the rest of the day together, however, we were heading in opposite directions and were both running out of light to reach our preferred destinations. Jenn and Madelene had spent the last few hours retracing their steps (with the other chap I passed), after cycling into a Turkish Army base, solving the riddle of the waving cyclist from earlier. They were also able to tell me of a nice, wild camping spot, near to where I intended to stop. The intel was useful; it gave me an element of certainty, usually absent when camping in the wild. I found a fantastic spot, early enough to enjoy a shower as the sun set, before drifting off into dreamless sleep. The next day, after stopping for an extra-long brunch at a marina in Göcek, I made my way to Pastoral Vadi, situated three kilometres north of the village of Yanıklar, to begin the next leg of my journey as a farmer! First impressions are good, the present looks just dandy and my mind is back firmly in the now. Check back early next week to find out how the transition from cyclist to farmer unfolds, and how I intend to cross the Visa assault course that is the Middle East. Or sımply enter your name and email below and I’ll send it straight to your inbox.